Well, before giving this one out let’s see what’s the source of this information! 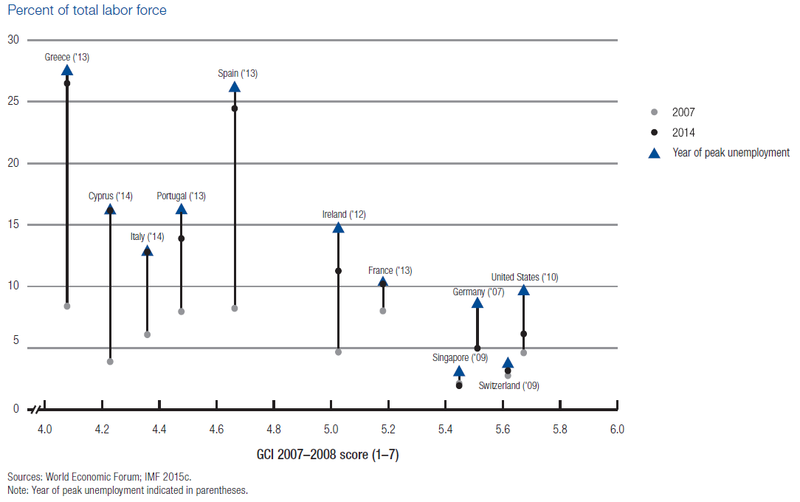 Published since 1979, the Global Competitiveness Report series, from the World Economic Forum, is among the world’s most comprehensive assessment of national competitiveness (for a slightly different take on the subject take a look at the the global innovation index ). 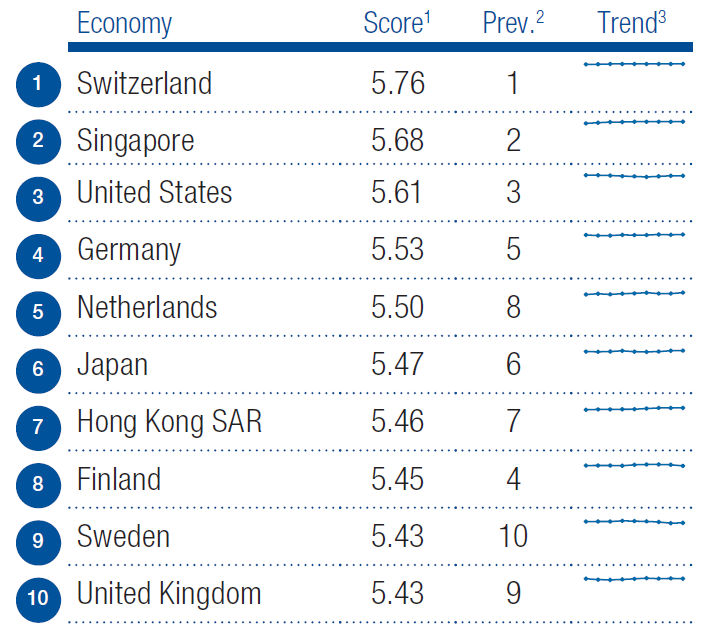 The Global Competitiveness Report 2015-2016 presents the rankings of the Global Competitiveness Index (GCI). The GCI is based on 12 pillars that provide a comprehensive picture of the competitiveness landscape in countries around the world at different stages of economic development. 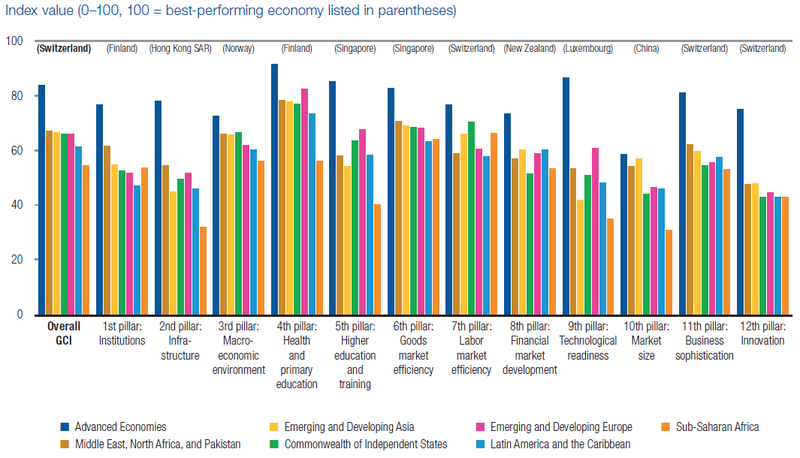 The Report contains detailed profiles highlighting competitive strengths and weaknesses for each of the 140 economies featured. And the winner is SWITZERLAND!!! You will also gain access to an excellent, quick summary, profile per participating country. Overall there are over 400 pages of interesting & potentially actionable insights to be found in the full report. ← Analyze this … Programmatic!